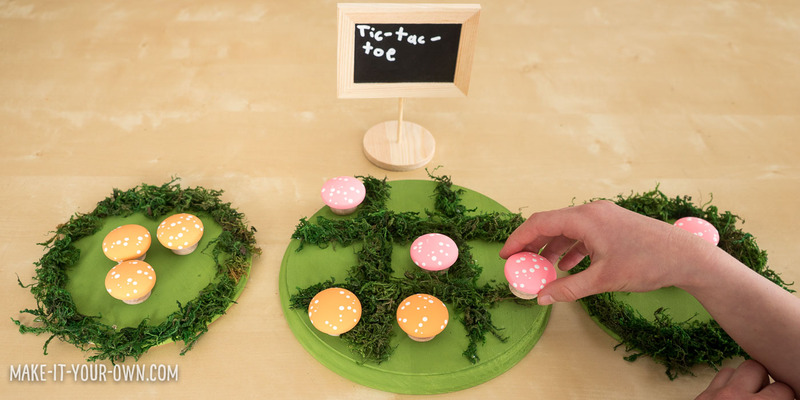 » Magical Mushrooms for Learning and Play! The kids have been into all things magical so we decided to make a few toadstool projects for play (and a bit of learning too)! Paint the “cap” of your mushroom on your drawer handle with acrylic paint. You will need two different colours of mushrooms (5 of each colour). 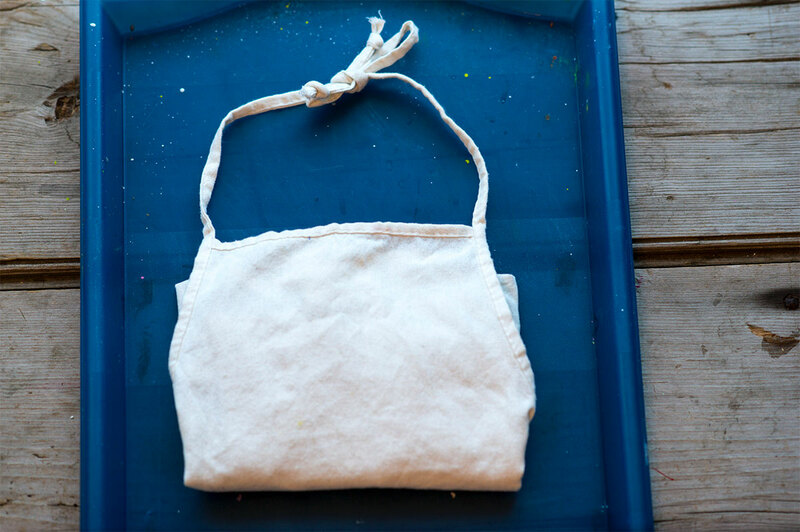 Depending on the desired effect, you may need a few coats, allowing them to dry in between. We added the dots with the tip of a stylus, but you could use the end of a paint brush handle, a small dowel end, a BBQ skewer with the end cut off or a toothpick. Use a contrasting colour. This classic game with involves some strategy in creating three in a row (vertically, horizontally or while blocking your partners ability to create the same. Along with that, the game allows for turn-taking and how to accept winning or losing a round gracefully. Paint the caps of your button plugs and allow them to dry before adding your dots. Paint your plaque. We went with a green colour to mimic grass. Once it was dry we had an adult drill a hole in it to fit the garden signs/pegs. If you like you could glue moss around the edges. Place your mushroom caps in a container/ bowl etc. 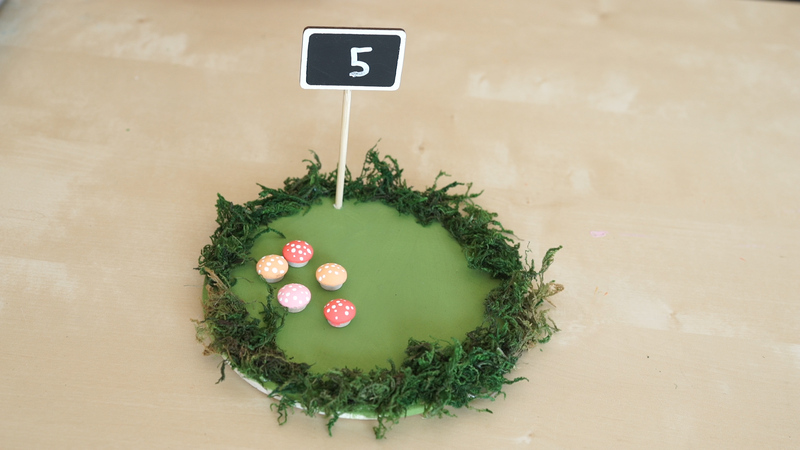 and then have the child count out the number of mushrooms as indicated on the sign. Paint your caps, but when you add your dots, put different numbers on them (we put them in ten-frame formation), so that children can identify the number of dots to the number signs. You might want to include a magnifying glass if they are teeny or use drawer knobs instead if you want them to be larger. This is similar to the above project, but children roll 2 dice and then add the numbers on each die together, finding the corresponding number. You may want to have counters available to assist some students, so that they assign each die with the amount of counters and then combine/ add them together. The next step is to find the matching amount of mushrooms or the mushroom with the correct number in the ten frame arrangement. 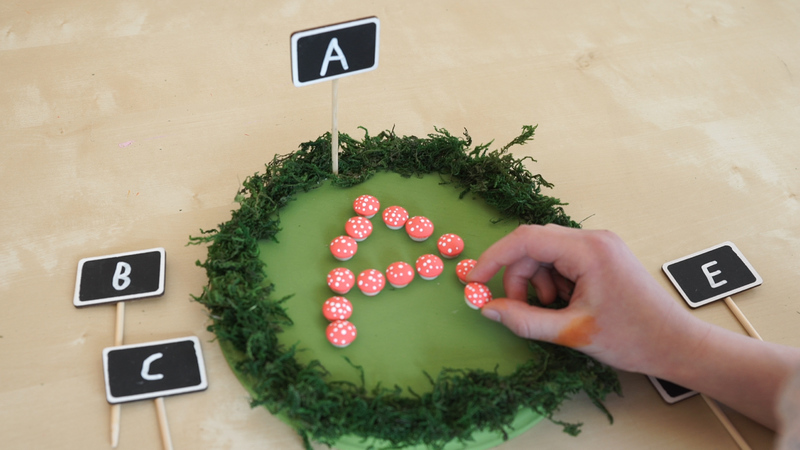 We used the mushrooms for various projects so for colour sorting we used the button mushrooms that were red, orange and pink and wrote corresponding signs to insert in the drilled holes. All of the mushrooms started out on a large plaque that were then sorted into three smaller plaques. We them sorted button and drawer knob mushrooms according to size with signs that said, “Small and Large”. We also sorted by “Greater Than, Less Than” picking a numeral to work with. 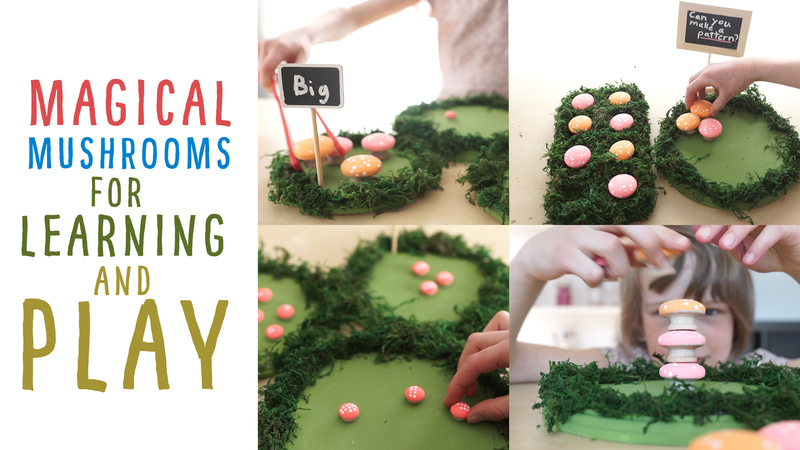 If you like you could further increase the challenge of this activity by providing tongs/ tweezers for the children to transferring the mushrooms. 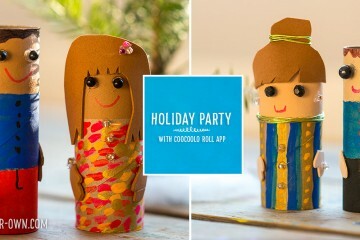 This is a good way to develop one’s fine motor skills. 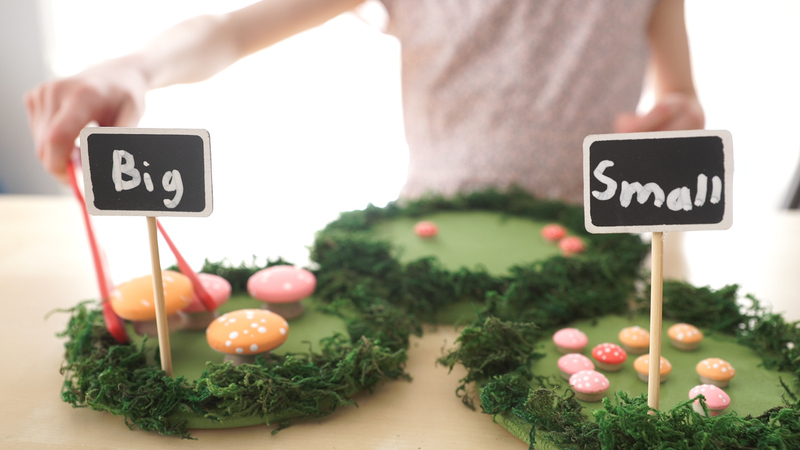 We used the button mushrooms to arrange them into the shape of letters, both upper and lower case to match the little garden signs. 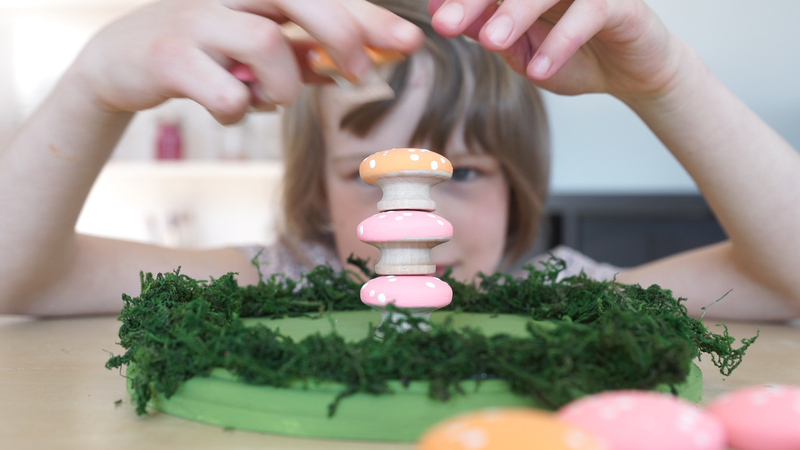 This activity takes the drawer knob mushrooms and challenges children with how high that they can stack them. This explores balance and some students might start to see what arrangements could increase stability. 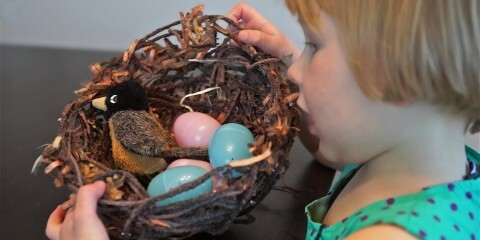 We used an old baby food container that we glued moss onto, but an egg carton would work perfectly for this as well. 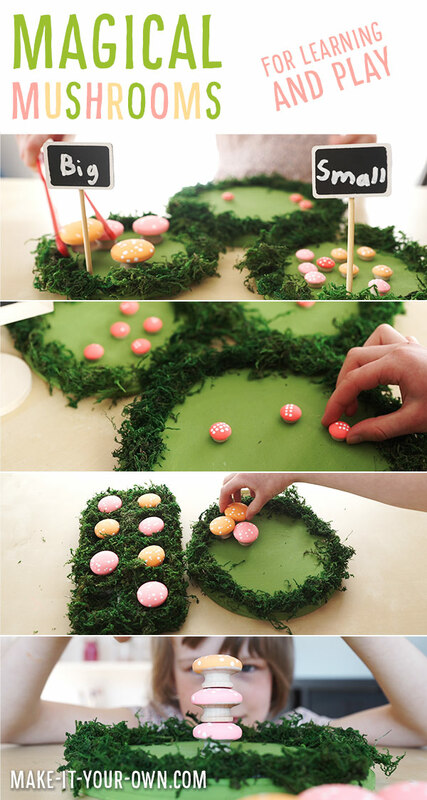 Create a pattern with your mushrooms, so you might do this based on size, colour etc. See if you can challenge and expand on your patterns, so for example an AABAAB pattern. We included a few cards to prompt you if you need it. 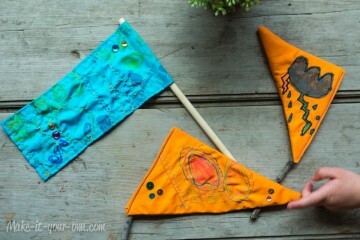 Create items for play and learning. 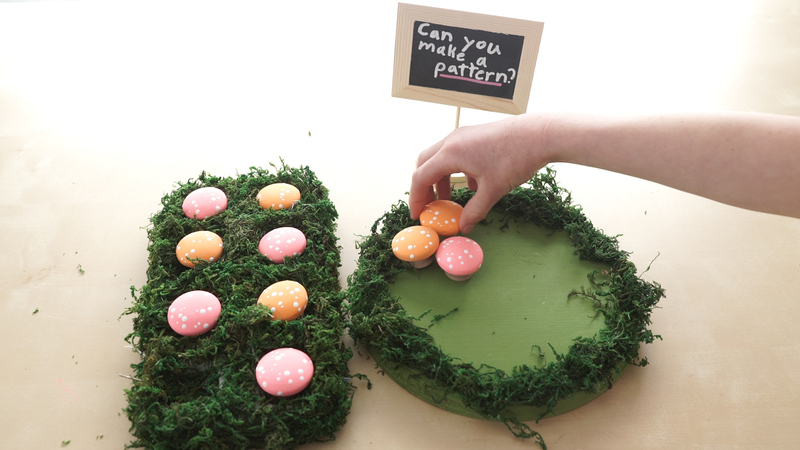 Develop one’s mathematical skills through patterning, adding, identifying numbers etc. Strengthen fine motor skills working with different items, arranging them, manipulating them in a space, transferring etc.